Looking for tribal designs for your first tattoo? Look no further than this list of tribal tattoos. Tribal tattoos are one of the best for people breaking into the world of tattoos. A tribal tattoo is simple, often with a single color (black) and a straightforward design. starter designs do not have a lot of detail depth compared to realistic tattoos, making it relatively less expensive than other tattoo designs. Finding a well capable artist is also easy as many artists usually start out with tribal tattoo designs. But if you want a real tribal tattoo that lines with real tribes, the designs become much more complicated and expensive. As the name suggests, tribal tattoos originated from various indigenous tribes around the world, who use tattoos to depict social status, beliefs, and ceremonies. The latter is perhaps the most prominent, as tribes typically use tattoos to indicate that a tribe member has undergone a rite of passage. There are different kinds of tribal tattoos, which depends on the place of origin. 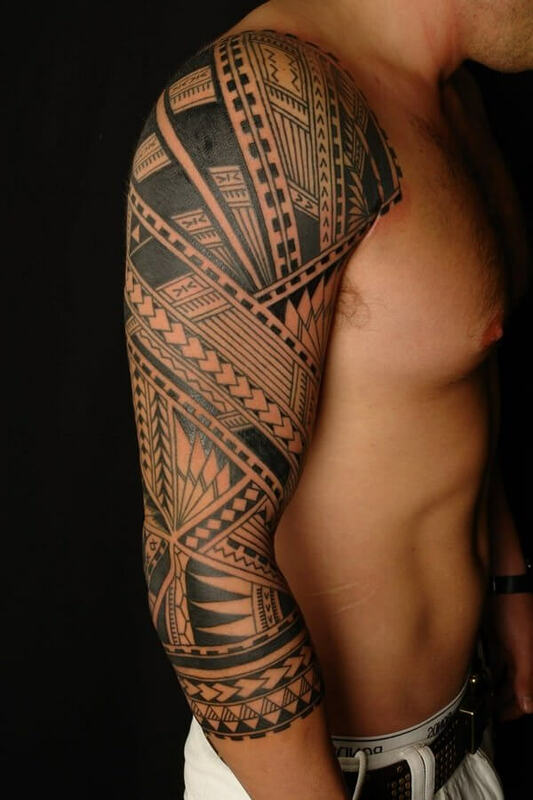 Some of the most popular tribal tattoos have Hawaiian, Bornean, and Samoan origins. 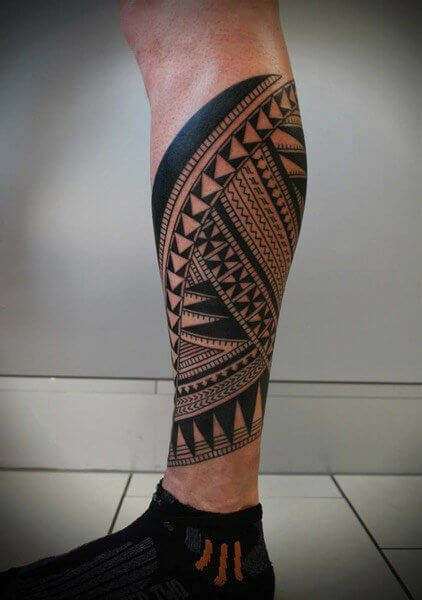 Regardless of style, two things are staples in a tribal tattoo: it comes in solid black and it involves a lot of lines. Artists sometimes include gray shading in a tribal tattoo to make it look deeper. Others prefer to include a dash of colors, usually red as it works well with black. To outsiders, a tribal tattoo is seen as just a random design with lines and shapes that don’t make sense. This is actually an accurate description for many tribal tattoos. Some people prefer to incorporate a distinct image into a tribal tattoo such as an animal, a flower, and a tribal mask, while others roll with symmetrical or geometric designs. Though the latter is often regarded as the more random-looking, it is oftentimes the more detailed and typically covers large portions of the body. A “modern” tribal tattoo is a bit different from a traditional tribal tattoo. Most people nowadays forgo intricate and sprawling tribal tattoos in favor of smaller ones that portray a very specific image. Many often see tribal tattoos as just a style akin to a writing style. For example, a person would take a random image and then ask the artist to simply “convert” it into a tribal design, much to the dismay of tattoo lovers well-versed in the true meaning of tribal tattoos. Though the history and real meaning of tribal tattoos are regrettably lost in most people today, they remain popular among men looking for a manly design. A tribal tattoo oozes with masculinity. No doubt about that. This makes it a popular choice among first-timers who aren’t too sure which design to go with in order to depict masculinity in the most obvious way possible. Since a tribal tattoo design comes in solid black, it ages well compared to more colorful tattoos. Even at old age, it still looks neat, with the design largely uncompromised unless a drastic weight change took place. If you want proof, simply search for images of old people with tribal tattoos. You’d be surprised how good a tribal tattoo ages. This makes it an excellent choice for people who hate getting touch-ups. If you think a tribal tattoo would suit you best, check out the best tribal tattoos we found on the internet. 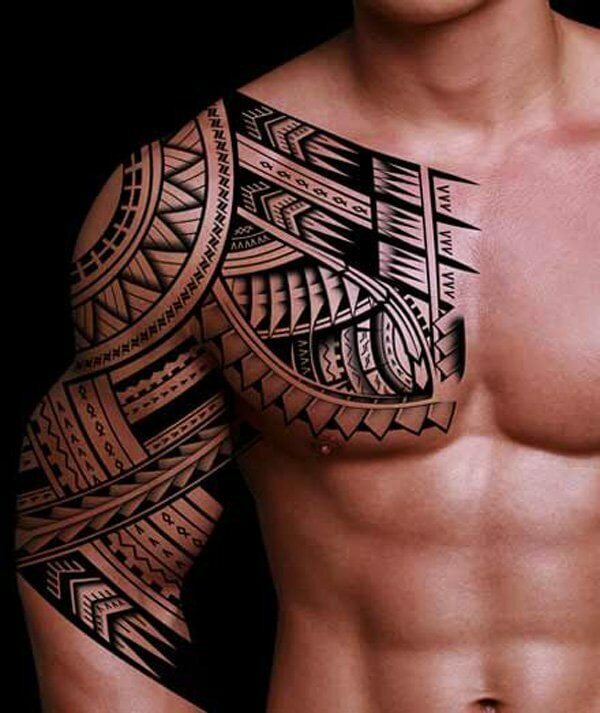 Hopefully, this will help you come up with a custom-made tribal tattoo design.